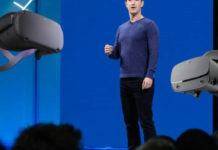 Facebook unveiled its brand new Oculus Quest stand-alone headset, which will delight virtual reality enthusiasts. Oculus knew how to listen to users’ grievances and therefore proposes more powerful, wireless and even more immersive headphones. Only disadvantage, its price, which exceeds that of the Oculus Go. The Oculus Quest is a bit of the missing link to virtual reality with Oculus sauce. The manufacturer was able to take advantage of the Oculus Rift but also the Oculus Go, making the best of both helmets. 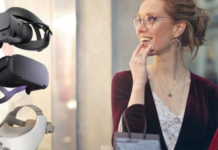 We were able to find out during the Oculus Connect 5 conference in San Jose, California and this helmet could well revive this sector which is struggling to democratize, despite promising promises. Concerning appearance, Oculus has chosen to keep the Oculus Go lines as a whole and promises a high-quality experience at a more reasonable price than the Oculus Rift. Being autonomous, since wireless, it will not be worth it either to invest in a PC compared to its elder. So yes, it will be more expensive than the Oculus Go, but this missing link between mobile VR experience and classic VR offers a much higher solution, so it amply justifies its price. The resolution of the Quest is 1600 x 1400 pixels on each eye, with an exciting novelty to optimize comfort, it will be possible to adjust the spacing between the lenses to preferable adapt to the morphology of the wearer. The heart of the beast is a SoC Qualcomm Snapdragon 835, which places it well above the Oculus Go and is slightly titillating a Lenovo Mirage Solo in this area. The headset can be charged via the integrated USB-C port, and it includes a series of sensors for tracking. For controllers, you will have noticed the Oculus Touch. 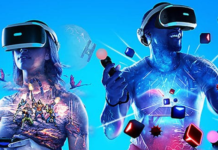 A priori, Oculus promises 50 games at the exit of the helmet in 2019, from the catalog of the Rift. What to see coming before getting bored and especially to wait for the novelties. The principal argument of this new helmet resides above all in immersion in the level of unmatched movement capabilities. Indeed, the Oculus Quest integrates cameras allow it to locate its position in space, in this way the user has essential freedom of movement. 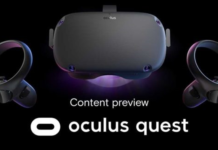 It will be accompanied by two touch controllers equivalent to those of the Rift, but with a hoop placed differently because the Oculus Quest integrates its sensors on the front of the helmet and no longer requires external sensors. This tracking system has been named Oculus Insight. It relies on four sensors located at the corners of the helmet and computer vision algorithms to calculate in real time (with a refresh every millisecond) the position of the user in space and those of his hands. Oculus Insight also manages the Guardian system, which alerts the user when they are too close to an obstacle and can memorize multiple pieces so that the user does not have to reconfigure every time. Oculus describes it as going “beyond the room-scale.” An engineer working on Oculus Insight told us that the maximum recommended space at the exit of the Quest would probably be 5m x 5m. The helmet is also not suitable for outdoor use. 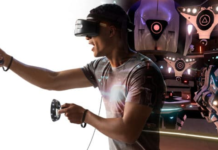 The release of this new headset is a critical moment for the virtual reality industry. It will be the first product to combine the simplicity of use (it is put on and off, no cables, no sensors), the ability to move freely in space, and two controllers whose movements are tracked on six axes. It’s the perfect of both worlds between the Oculus Go, thought to be affordable at 229 euros, and the Oculus Rift, which also costs 449 euros, but requires external sensors and a relatively powerful PC to run. This puts it in the eyes of the general public at the same level of accessibility as a home console: it can safely be offered at Christmas. It also makes Lenovo and HTC stand-alone headsets obsoletes old at the same price but much more limited. Oculus’s ambition for the Quest is to play “Rift Quality” games. 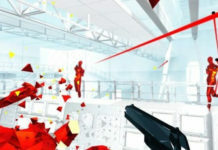 He will have more than 50 games on his way out, including Rift classics like Superhot VR, Robo Recall, The Climb, Moss and Dead & Buried (including an “arcade” version was also created for the occasion). It will also have original titles, including a tennis game known for the moment as Project Tennis Scramble, but also Face your Fears 2. A host of studio partners have been featured on stage, including Ready at Dawn (creator of Lone Echo), Harmonix (Rock Band), High Voltage Software (Dragon Front), OZWE (Anshar Online), Vertigo Game (Arizona Sunshine), Survios (Raw Data), Schell Games (I expect you to die) or Twisted Pixel (Wilson’s Heart). Finally, the boss of ILMxLAB has announced that an unprecedented Star Wars experience, centered on the character of Darth Vader, will be released for the Quest in 2019. Oculus Quest uses similar lenses as the Go, which is currently the best Oculus has created. His field of vision is, therefore, the same, about 110 °. It uses two OLED screens with a resolution of 1600 x 1440 each, the same as the Vive Pro and the Samsung HMD Odyssey. The refresh rate is currently 72 Hz, but this could change by the time of commercial release. It is possible to adjust the pupillary distance (IPD), as on the Rift. Quest integrates headphones in its strap, like the Go, but their quality has been improved, especially at the bass level. The result is convincing: we experienced it on the show, in a rather noisy environment, and our immersion was total. A 3.5 mm mini-jack port is also present, as well as a sound adjustment knob, located under the headphones. The strap is similar to that of the Rift, and its comfort is much higher than the Go. No information on the capacity of the battery by cons, given how vital. Where is the real difference with the Rift is in the computing power? 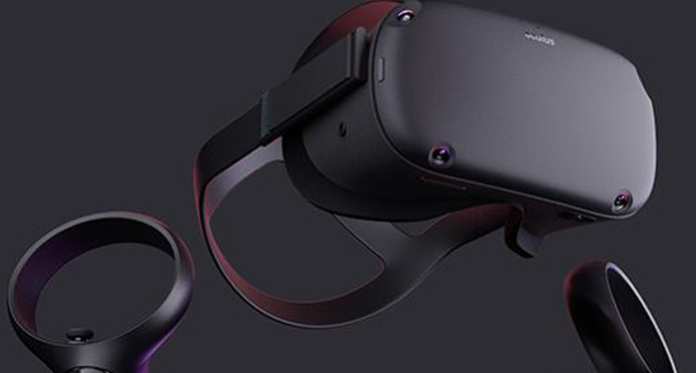 Oculus Quest remains a mobile headset that uses a Qualcomm Snapdragon chip. The company does not communicate on this point, but in its current version the camera uses a Snapdragon 835, that is to say, the model of 2017. We are far from a monster of power (it is about the same chip as the Lenovo Mirage Solo and Vive Focus), and the Rift games on Quest, therefore, require a lot of optimization work. But these optimizations and the quality of the software Oculus make their effect: once on the head, the experience is striking. An approach (privileging the background to the raw power) which is not without reminding that of Nintendo.